things that shine: Jenni Bowlin Studios Hallowe'en Treats Blog Hop! Jenni Bowlin Studios Hallowe'en Treats Blog Hop! We're having a blog hop with Jenni Bowlin Studio, and we have a Hallowe'en Treat for you! A chance to win a work of Hallowe'eny art made by Jenni herself, a chance to win a set of JBS October cut files, an awesome mega sale and a chance to win a kit of your choice, a fantastic coupon for a Hallowe'en Silhouette CAMEO bundle, and a new Silhouette 101 class open for registration and a chance for you to win registration for free. Read on for your chances to win, plus some handy discount codes! 1. Win the House that Jenni made! Jenni will be giving this wonderful Hallowe'en house away to one lucky winner. Visit Jenni's blog to enter! 2. Win the October 2012 Cut Files! Leave a comment right here on this post, for a chance to win all four die cut file sets shown above! Even if you don't have an electronic die cutter, you can use these as digital images for printing. How cool would those Hallowe'en cards be printed for tags for your Project Life Hallowe'en week, or for spooky little cards on a traditional layout? And, if you just have to have them and can't wait to see if you win, you can buy the files at JBS Mercantile. Give-away ends Saturday October 20 at 6 pm CST. Leave a comment on this post for your chance to win. 3. Win a Mega Kit of your choice! Go to the JBS Inspiration blog for your chance to win one of these three Mega Kits! Die Cut Paper Lover's Kit: 16 sheets of awesome die cut papers, for only $8.00! Sticker Lover's Kit: 20 different 5x7 sheets of stickers. Labels, alphas, stars -- what more could you want? Embellishment Lover's Kit: an assortment of buttons, butterflies, ribbons, pearls, and bows! Give-away ends Saturday October 20 at 6 pm CST. Enter to win at the JBS Inspiration blog. 4. Silhouette Hallowe'en Cameo bundle discount code! Silhouette is offering a fantastic Hallowe'en bundle for purchase -- and JBS has a discount code for you to use! 5. 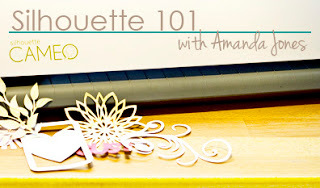 Sign up for Amanda's Silhouette 101 class! The talented Amanda Jones has created a Silhouette 101 class so you can get to know your Cameo! Perfect timing for anyone considering maybe jumping at that great Hallowe'en Cameo bundle and some of those spooky fun JBS digital cut files! This would be a great way to finally buy that Cameo and some cool files, and a class to get you started. Amanda's class will start with the basics and inspire you to branch out and get creative on your own. Silhouette 101 provides 9 videos, webinars, printable PDFs, free Silhouette Studio files, a private class forum and gallery, and much more! See Amanda's blog for all the tempting details -- plus, a chance to win your class registration for free! Sign up by midnight Friday October 19th and use code 25OFF101 to save 25% on your class registration fee! Loving the Blog Hop. I love Jenni Bowlin's collection. I didn't realize you could use the cut files to print if you didn't have the Silhouette. That's good to know. Thanks. Yay! My Cameo should be here next week - I would love to play with these! Thank you for the chance!! I don't have a die cutter but printing the files sounds great. Thanks for a chance to win. I love JBS! Thanks for a chance to win! Great new stuff from Jenni Bowlin! This is a fun blog hop! Thanks for the chance to win! 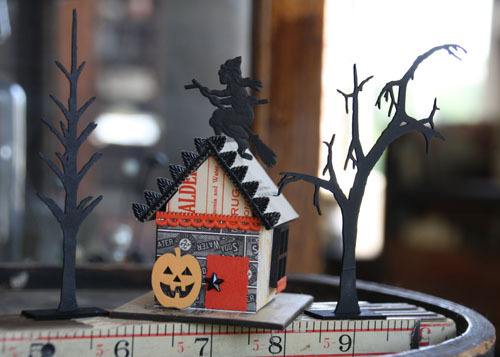 Fun Halloween Blog hop...and good info on the cuts and how they can be used another way. But I think I will have to put the cameo on the top of my christmas list... fun hopping. Thanks for sharing all the fun stuff! I love these cut files! Thanks for the chance to win! Thanks for the chance to have some Jenni goodness! Love all of these files...thanks for sharing, can't wait to try these out! I'm so excited to see such cute cut files! Happy Hallowe'en! Boo boo boo to you. Love Jenni Bowlin anything! Thanks for the opportunity!! !